Hello, Oliver, can you hear me? Now that my office is directly across the street from my house I’m well-positioned to intercept delivery people that need signatures: I can be at home in less than 30 seconds. But how to know they are there? 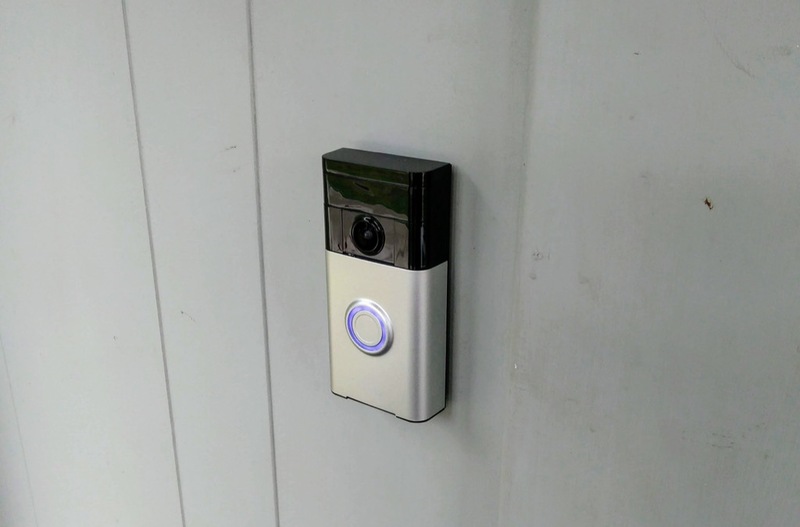 While the idea of a “video doorbell” heretofore had seemed absurd, this seemed like an almost-ideal use-case for such a gizmo, and so I picked up Wirecutter’s top-rated budget pick, the Ring Video Doorbell, at Best Buy last night and installed it this morning in place of our ancestral analog doorbell. The installation went remarkably smoothly, especially as Ring includes all the tools you need right in the package. Hardware setup took about 15 minutes; hooking the Ring up to our wifi and getting the app set up took about another 15 minutes. The video isn’t exactly evidence-quality, but it’s sufficient to determine who’s there (and, to answer a question Oliver’s support worker had: we can see the person at the door, but they can’t see us; we can talk to each other two-way, however). I’ve got three courier deliveries expected in the next week, one of which is Oliver’s passport, which we need to be able to go to Europe at the end of the month, so this is just in time. One of our reasons for going to Europe is to go to Elmine and Ton’s Smart Stuff That Matters unconference where, I’m sure, devices like this will come up (Oliver already has a Keynote presentation on the topic of “are we living in George Orwell’s 1984” ready to go). Written August 9, 2018 at 10:53 a.m. I still have a Raspberry Pi + camera module lying around intended for this purpose. Our new home definitely needs this, as we can't easily see who is at the door before opening. Maybe doing something with the R Pi is a suitable project for Smart Stuff that Matters. Great that Oliver already has put together a presentation that enlarges into the ethical dimension of it all. I'd like to contrast my own hesitation to allow always on microphones into the home, with you usage benefits of having echo's alexa's and whatnot around.